JB has a ton of florists. With so many options how do you know who to choose? Well fear no longer, we sorted through all the florists in the JB area and narrowed down the choice. Now the only thing you need to decide is when to send flowers next! 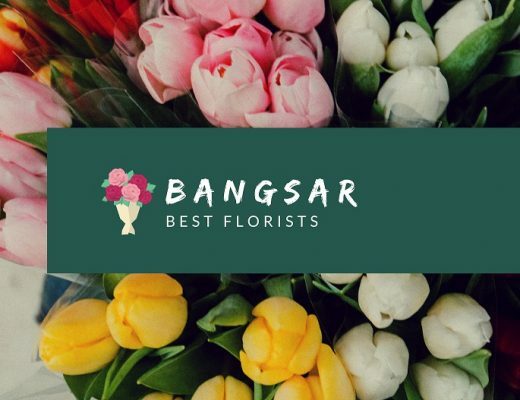 A Better Florist is our go-to florist for any flower delivery in the Johor Bahru area. Since starting operating in JB several years ago, they have solidified themselves as a fixture in the JB community. Their great selection of beautiful flowers, arrangements and fruit baskets always delight keeping their customers coming back for more. A Better Florist is known for their super fast and friendly same day flower deliveries. Their couriers are known to make recipients smile and their friendly customer service is happy to answer any question you might have. Lastly, unlike other florists, A Better Florist delivers outside of just JB as well. If you need to send something in KL, Ipoh or even Singapore or Hong Kong, A Better Florist is your one-stop shop. Vin Florist and Gifts delivers flowers JB daily from 10:30am until 6pm for a flat rate of MYR 10.60. They provide impeccable flower arrangements for all occasions, but just in case the flowers are delivered in a less than desirable state, they can exchange or amend your order for free. Vin Florist sells pretty balloon flower boxes that can be given as birthday flowers or for baby showers. You can also browse through their bestselling collection of grand opening flowers and hand bouquets. Bloom2u’s Flower Delivery Johor Bahru, and for areas outside of Selangor, KL and Putrajaya, requires a 3-day lead time. The minimum delivery charge for flowers JB is MYR 36. Although you can also visit any of their shops or call them for rush orders. At the moment their outlets are located at Empire Shopping Gallery (Subang Jaya), Damansara Uptown 3 (Damansara Utama) and Dataran Prima (Petaling Jaya). For Mother’s Day 2018, they’ve named their bouquets after iconic women like Carrie Fisher and Audrey Hepburn to celebrate inspiring women everywhere. Bamboo Green Florist handcrafts impeccably designed flower arrangements that are very sophisticated and picture perfect. Their bloom boxes in clear acrylic boxes, hat boxes and square gift boxes are particularly pretty and classic designs that would suit any occasion. Aside from Flower Delivery Johor Bahru, they also cover other areas in Malaysia, such as Kuala Lumpur, Selangor and Penang. Purple Rose Florist has everything you need for giving gifts to important people in your life. They have a large collection of bouquets and arrangements for all major occasions. You can also filter by flower type if you want to give someone their favourite flowers. Even if you forgot a milestone or event, you can quickly buy flowers from Purple Rose because they can ship your order within the day. Happy Moments provides flower delivery in JB and Penang. The company’s slogan is “Make Someone Happy Today” which is probably why they have a wide selection of bouquets and flower arrangements for a range of budget. So, even if there is no occasion, you can just as easily surprise someone with same day flower delivery in Johor Bahru without blowing your budget. They currently have over 500 products in their online flower shop. Aside from JB and Penang Island, they also deliver to areas in Johor-towns and other states in Malaysia through their partner florist. Established in 2006, Mazzo Di Fiore delivers flowers nationwide in both Malaysia and Singapore. 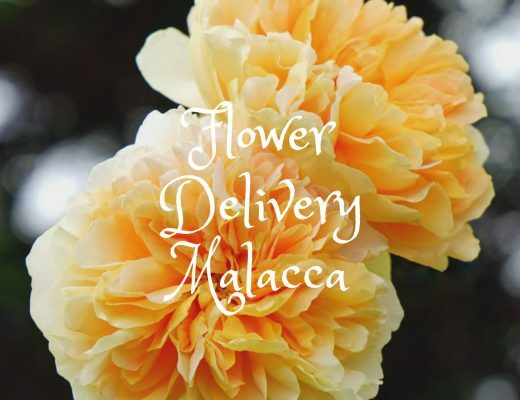 Combined with their free flower delivery, Mazzo Di Fiore sells some of the cheapest bouquets and arrangements in Johor Bahru. They also have the most expensive flower stands available in JB. So, if you’re budget conscious, you’ll find cheaper options here. Maple Florist has all the flowers and gifts you’ll need for any celebration or occasion. 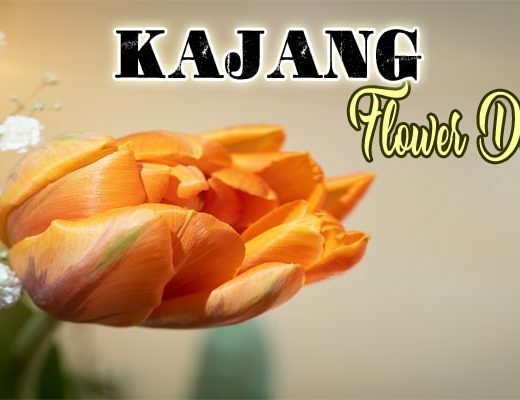 This Johor Bahru online florist provides delivery to the area of Johor Bahru and any cities or town in Malaysia. Their floral designer will choose the best ideas and use the freshest flowers to create the most beautiful and affordable floral arrangements for any occasions to your sweetheart. They have different cakes to go with the birthday flowers you choose and holiday hampers, too. Colourful flowers and vibrant wrapping make their bouquets stand out and pop. Their products include: condolences flowers, opening flowers, hand bouquet, fruit flowers basket, birthday cake delivery, teddy bear bouquet, Valentine’s day flowers delivery and more. You can filter by the flower type, occasion or price, so it’s easy for you to find the best one for your intention or budget. If you want the flowers delivered on the same day, your order must be received and confirmed before 1pm. Founder Wendy Wong started her career as a floral artist since 1994 before establishing Weiss Flora & Gift in 2006. She graduated with a Professor’s Diploma from the American Floral Art School and is also a certified Wedding Planner by WDA Singapore, accredited under the Workforce Skills Qualification (WSQ) Programme and the National Skills Recognition System (NSRS). Her expertise and experience put you in good hands whether you decide to hire them for a wedding or event, or if you just want stylish and classic bouquets delivered to your special someone. Their same day delivery service is available for orders received and confirmed before 3pm. Shop online at Tiny Times Florist for bouquets, flower boxes, flower stands, wedding arrangements and seasonal blooms for all occasions. Using imported premium quality flowers and gifts, a delivery of their lovely designs will definitely make a memorable surprise for any type of celebration. Their bouquets of sunflowers and baby’s breath are some of their bestselling products, perfect for birthdays and graduations. Order two days in advance for delivery on your preferred date. Finally, flower enthusiasts can also sign up to their flower arrangement classes to learn handy floristry techniques. Classes will be conducted by their professional floral designer with materials provided. Stickyd.my has everything you need to surprise your significant other. They have romantic flower arrangements to accompany your intimate candle-lit dinner, opulent hand bouquets for Valentine’s Day and anniversaries, even affordable bunches for the budget conscious. Plus, they incorporate delicious desserts in some of their bouquets and arrangements for extra indulgence. Their floral designs are simple and sleek suitable for all occasions. Valentine’s Day is a big day for JB florists, more so with Freeland Floral. In fact, they have three different categories or collections dedicated to Valentine’s Day. They have the Classic Style for traditional customers, Korea Style for hallyu enthusiasts and the Special Package for those who want something extra to make their bouquet stand out. Western Florist mainly caters to customers overseas wishing to send flowers to loved ones in JB or other major cities in Malaysia. This is why prices are reflected either in MYR or USD. Since peak seasons can be a hectic time for JB flower delivery, they require at least 2 days for your order’s delivery. If you want simple, affordable arrangements, you can find several options at Tina Floral. Since they have the word “academy” on their brand, Tina Floral Art Academy does provide floral arrangement classes for floristry enthusiasts. Among their popular products are flower stands, centrepieces and hand bouquets. For just MYR 10, you can already buy a bunch of fresh flowers for yourself or a loved one—convenient and inexpensive. Tang Chao Florist started out as a home-based online florist in 2015 delivering fresh flowers in Johor Bahru. They eventually opened a physical shop for added ease to customers who prefer to pick up their flowers. Custom bouquets and arrangements are also possible upon request. The founder Tang Chao Florist originally used traditional wrapping technique to present the bouquet, but to keep up with changing trends in floristry, they now use Korean style wrapping technique for a more modern presentation of their floral designs. Their flowers are sourced fresh locally as well as worldwide, including Australia, China, India, South Africa etc. JB online florist Amy Flower Shop sells condolence wreaths, Mother’s Day bouquets, grand opening flowers, hand bouquets and Valentine’s Day flowers. Their biggest collection in their online catalogue is for Valentine’s or romantic flowers. Even though the name of this JB florist is Milan Florist, it is their Korean-style flowers and arrangements that stand out. Bold, bright and fun, the K-flowers can be given for birthdays, graduation or Mother’s Day. If you don’t have a credit card, cash on delivery is available in Klang Valley, Penang and Johor Bahru with an additional fee of RM 5. Xin Florist & Gifts is family business with extensive retail and floristry experience. Orders received and confirmed before 3pm is subject to same day flower delivery Johor Bahru. Their romantic bouquets manage to highlight the beauty of classic and popular blooms like roses, tulips, sunflowers and daisies in mono flower arrangements as well as whimsical mixed bouquets. One of the names that frequently pops-up when looking for a flower delivery service in Johor Bahru is a local JB floral shop called Happy Moments Florist. They service the whole of Johor Bahru from their shops in Larkin and Skudai and now, they are also available in Penang Island.